It's Monday and I'm feeling a little sad for two reasons, it's my last week as a guest designer for Cupcake Craft Challenge and it's the first day back to work after two weeks of relaxation (groan). On to a more cheery note, here is my card for the Cupcake Craft Challenge - Cooking Up a Storm. It was a friends engagement party at the weekend so I made this card for them. Whilst purchasing digi stamps from the Teddy Bo website, I came across this freebie image and just had to use it. Thanks for stopping by today and thank you to those of you who have left comments over the past month, hopefully I will be able to catch up now everything is back to normality. This is adorable Jenny!! Your coloring is amazing and the whole layout is perfect! Wonderful card Jenny, gorgeous image and details. 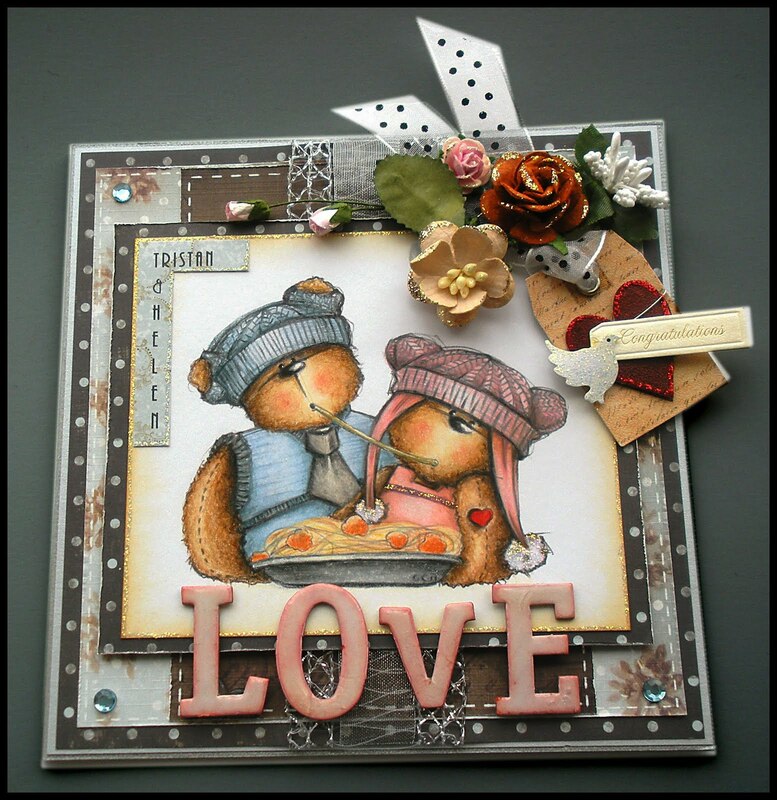 Totally adorable your card is so cute and beautiful, I have loved seeing your creations so have now become a follower.